Through the end of March, you can score an extra 20% off select Earth's Best organic products sold by Amazon when you order them using Subscribe & Save and use Amazon promo code EBMARCH4 at checkout! 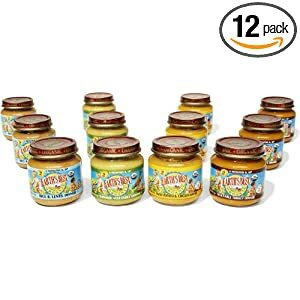 You can choose from jars of fruit and vegetable baby food, infant formula and a variety of snacks. Even better, shipping is always free when you order with Subscribe & Save.